As a SOTA enthusiast I'm aways looking for mays to minimise the size of my station and had experimented with End Fed Half Wave (EFHW) aerials in the past but with a matching unit that included an inductor and a variable capacitor I found it super sensitive to the proximity of the ground, trees and people. 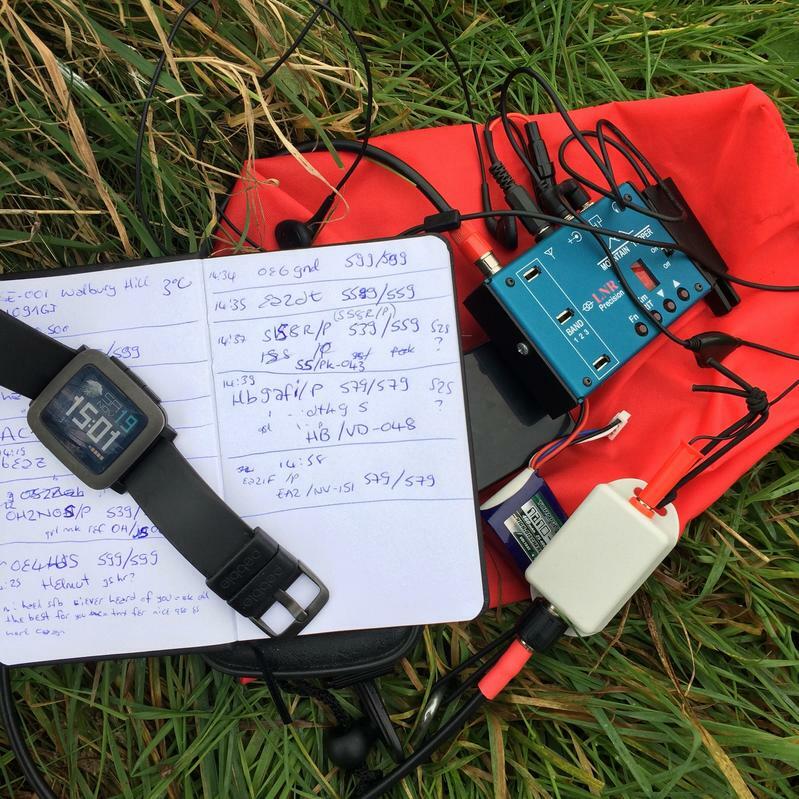 I spotted and article by PA3HHO which used an EFHW but with a simple impedance transformer to feed it. Inspired by Pedro, CT1DBS who had managed some good results with this I built my own and I have to say it works well. The photo this month is me trying the EFHW deployed as an inverted V from my local SOTA summit. This month I've also been teaching myself WordPress to do some web site development and you can see the fruits of my labour and read about my EFHW design and build on my new site, peanutpower.co.uk.